Selawik’s has a low-to-moderate wind resource, measured as class 2 (on a scale of 1 to 7). 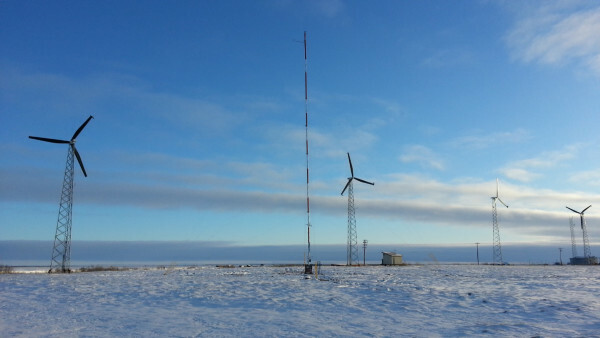 Although the wind resource in Selawik is modest compared to that in nearby Kotzebue, development of renewable energy in Selawik models is potentially viable with use of new wind turbine models specifically designed for lower wind speed environments. Also of consideration is the relatively high cost and environmental risk, compared to more readily sea-accessible villages, to transport diesel fuel to Selawik. Wind turbine site options in Selawik are very limited due to airspace restrictions with two airport runways and the presence of large tundra ponds and streams. The best location for new wind turbines is at or just east of the existing AOC wind turbine site.